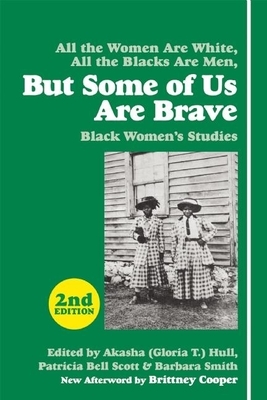 Originally published in 1982, All the Women Are White, All the Blacks Are Men, But Some of Us Are Brave: Black Women's Studies is the first comprehensive collection of black feminist scholarship. Featuring contributions from Alice Walker and the Combahee River Collective, this book is vital to today's conversation on race and gender in America. With an afterword from Salon columnist Brittney Cooper. Coeditors Akasha (Gloria T.) Hull, Patricia Bell-Scott, and Barbara Smith are authors and former women's studies professors. Brittney Cooper is an assistant professor of women and gender studies and Africana studies at Rutgers University and a co-founder of the Crunk Feminist Collective.